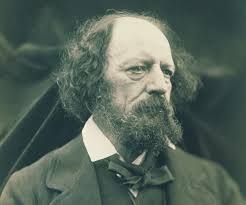 Despite his status as one of England`s best loved poets, it appears that Alfred Lord Tennyson was in fact a festive grump. So whatever awaits you this Christmas – the tree falling down, the outbreak of food poisoning,, the unwanted presents, the drunken uncle and seemingly never ending turkey sandwiches -just remember it could be worse. You could have that bearded grouch Tennyson with you. Previous PostLet`s talk about Apostrophes…. I love the whole blog. It´s fun reading it. And educational as well.